One of the main reasons to have a wine collection is to have a bottle of something special to celebrate special occasions, such as wedding anniversaries and birthdays. When I first became interested in collecting fine wine in the early 1980’s the first thing I did was start purchasing 1979 first growth Bordeaux to celebrate our wedding anniversary. Because 1979 was not recognized as a resounding success in Bordeaux, I decided it would make sense to purchase several different wines including Chateau Margaux, Latour, Lafite Rothchild, and Haut Brion. 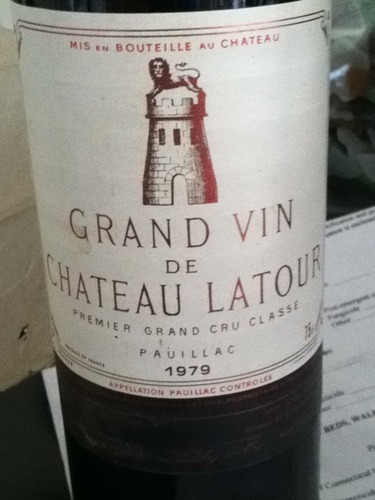 That way, I would have a good variety and could hold onto Latour longer if it showed better aging potential than the others (which indeed turned out to be the case). The Lafite is rated at 90 points and currently priced at $860, the Latour is rated at 91 points and priced at $560, the Haut Brion is rated at 92 points and priced at $510, and the Margaux is rated at 94 points and priced at $585. 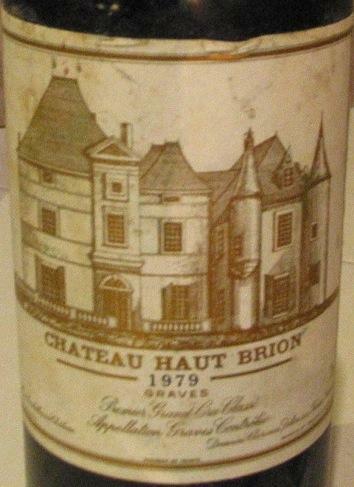 I have tasted all four more than once and in my opinion the best wine of the four is the Haut Brion, while the weakest is the Lafite. The last time I tasted the Margaux a couple of years ago I thought it was tiring fast and a mere shadow of what it used to be. The Latour looks to be the longest aging of the bunch (and Latour is noted for this characteristic) and looks capable of surviving nicely for another 10 years. The Lafite, which I described in detail recently in my blog post #18, is also losing steam and fading away, although it is still a very nice wine. Only the Haut Brion appears to be holding onto most of its fruit flavors and aromas while the other three all show signs of decline. It is also interesting to note that the weakest wine of the four (the Lafite) is also currently the most expensive, and by a wide margin. At $860 the Lafite is 55% more expensive than the average price of the other three, no doubt this is the “Chinese effect” in action, which will be the subject of a future Reg’s Wine Blog post. I was born in 1954 and my wife in 1955. 1954 was a disaster for wine throughout Europe so literally nothing survives today, except for one or two vintage Madeira wines that are rare, expensive, and hard to find. So I am out of luck finding anything from my birth year. 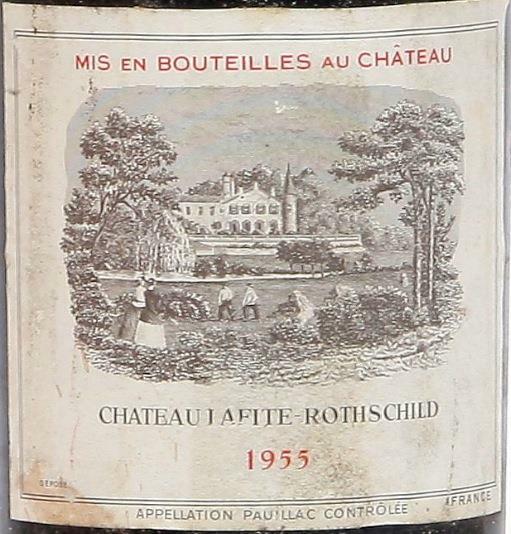 1955 was a much better year, and we still have a couple of bottles left from that year, one Lafite and one Latour. Those wines are long since past their prime and may no longer be suitable for opening to celebrate anything. Opening them may be more of a gamble and experiment than anything else. (take note: an old wine to celebrate an event can kill the event if it has turned to vinegar, so be prepared with a backup plan). In any event the wines are both rated 94 points on www.winesearcher.com and valued at roughly $2,000 per bottle, both are still drinkable, but soft and fading, so plan to drink them soon. We have four children born in the years 1983, 1985, 1987, and 1991. My wife and I decided we would buy a case of fine wine for each child from their birth year and give it to them on their 18th birthday to keep for birthday celebrations as long as the wine would last. Naturally the wine would need to be purchased early (for best prices and availability), cellared for many years, and opened once or twice over its first 20 years of life to ensure it was maturing properly. 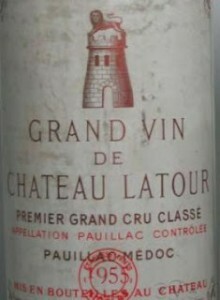 1983 was an above average year in Bordeaux, and an excellent year for dessert wines in Alsace and Germany. 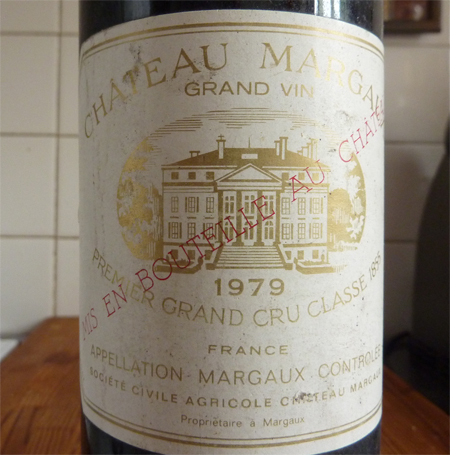 For my eldest I opted for the 1983 Chateau Margaux, which at the time was rated the top wine of the year in Bordeaux. Chateau Margaux had also undergone a change of ownership in 1976 when it was bought by the Felix Potin company, headed by Greek industrialist Andre Mentzelopoulos, and had been upgraded and improved in quality under this new management to the point that both the 1978 and 1979 vintages of Chateau Margaux were considered a major success and major improvement over a string of bad efforts over the previous 20 years. 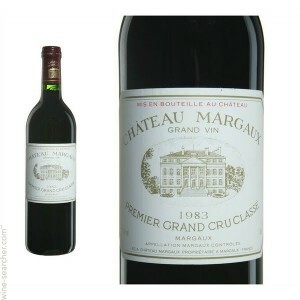 Today Chateau Margaux remains the best Bordeaux wine of the vintage and a good choice. Rated at 95 points and valued at $780 per bottle CDN the wine displays cocoa, chocolate mint, truffles, cassis, tobacco and cedar on both the nose and the palate, and is easily good for another 10 years. 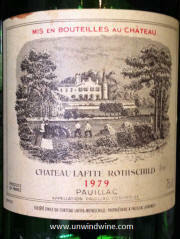 1985 was considered a very forward, fruity, and somewhat lighter vintage in Bordeaux, and good for Vintage Port. The challenge here was to select a wine that would not lose its fruit in 20 years. 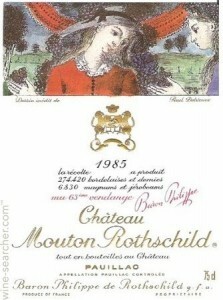 After considerable research I opted for the 1985 Chateau Mouton Rothchild, viewed by most of the critics as the top first growth Bordeaux of the vintage. 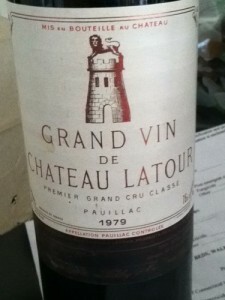 I also picked up a few Vintage Ports as a hedge for the future in case the Bordeaux wine dried out and lost its fruit. So far so good, the fruit remains intact and the wine, like my son, is 31 years of age and aging gracefully. The wine is rated at 93 points and valued at $565 CDN per bottle, and described as fully mature, displaying tobacco, cigar box, cedar, cherry and cassis aromas with a medium body and an elegant classy feel to it, drinking perfectly now and will continue to do so for another 10 years. 1987 was not a good year for wine in Europe. There are some Vintage Ports, which I picked up, but otherwise my search led me to California where 1987 was actually a pretty good vintage. 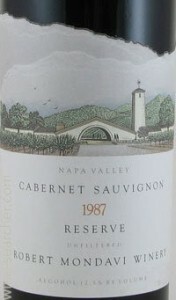 After careful consideration I opted for the 1987 Robert Mondavi Cabernet Sauvignon Reserve. The main concern anyone would have is trying to determine if the wine would still be worth cellaring beyond 25 years of age. At the time California reds were known for their “fruit bomb” robust fruit forward flavors, great to drink immediately, but not much experience was in the public domain as to how well they would age. Even the world’s foremost wine critic on California wines, Robert Parker, was not projecting great long lifespans beyond 15-20 years, so selecting a California red at that time was considered risky. But there was not much choice with Europe being a write off. We have kept an eye on this wine over the last 10 years as it is now 29 years of age, and even though the wine is tired and showing its age, it is still in fine shape, a little less fruit today than 10 years ago, but still a classy wine. Rated at 92 points and worth $200 CDN per bottle, the wine displays black cherry fruit, some tar, and is both elegant and balanced, with a slight tannic edge to it that disappears after about 2 hours of decanting. In time the tannins will disappear and this wine should survive another 10 years as well. 1991 was again a poor year in Bordeaux, so once again I found myself opting for a California red, this time opting for the 1991 Dominus. Fortunately, 1991 is also a very good year for Vintage Ports, so I added a few of those as insurance in case the Dominus dried out. The 1991 Dominus is rated at 94 points and worth $420 CDN per bottle, the wine displays lots of fruit and power. Perhaps the best tasting description I have read on line about this wine comes from Natalie Maclean, click on the following link to read her full article from November 26, 2014: www.nataliemaclean.com/blog/dominus-wine-napa-tasting-napanook. Natalie describes the wine as mind blowing, stunning, sensational, with great length, and aromas of leather, mushrooms and spices. The kids all wanted us to continue to store their wine for them, which is fine but it does take up cellar space. Being the custodian of their birthyear wines also brings the responsibility of storing it, checking them periodically to ensure no leakage or seepage, and discouraging them from wanting to sell the wine to pay for a car or a credit card bill. Spouses also have little or no attachment to the sentimental family value the birthyear wine represents, so this is another reason to want to cellar the wine out of sight and out of mind with Mum and Dad. I have often wondered if I were doing this all over again today what would I do differently in terms of selection strategy. First of all, price for first growth Bordeaux is now a major problem, putting that option out of reach for most young families. I still maintain that early purchase of the wines is better than later when prices have already started to climb. But buying a case of 2015 Chateau Margaux or Chateau Mouton Rothchild will not come cheaply, certainly not less than about $700 per bottle or $8,400 CDN per case. If the critics rate the wine highly in a good year, that price could be 30-40% higher. So my best recommendation would be to gravitate to a Vintage Port or Madeira where the price range is going to be much less, in the $150 per bottle range. An added advantage is that the Vintage Port should probably outlive the first growth Bordeaux in most cases. In our case, good Vintage Port was made in all four years, 1983, 1985, 1987, and 1991. Another point to bear in mind besides purchase price is price appreciation. If you buy a wine at $100 per bottle for long term storage and 30 years later it is worth $400, you and your family are more likely to open and drink a bottle than if that same wine has appreciated to $1,500. At $1,500 you have a tendency to want to save it, or sell it, but not drink it. It becomes too tempting to your young son of 30 years of age to want to sell his $18,000 worth of wine to buy that new car, or put a down payment on his first house purchase. How long do I intend to store this wine. The longer you intend to keep the wine the more you should gravitate to fortified wines like Vintage Port. Do I have adequate reliable long term cellar capability. If you expect to be downsizing and selling the family home then storage that is not a problem today may become a problem in future. 30 year old wine that is starting to dry out and lose its fruit needs to be stored under the best of cellar conditions to maximize the years of life it has left. Be prepared to try the wine, certainly from age 20 onwards. There is nothing wrong with your son or daughter having only 9 or 10 bottles of their birthyear wine left by the time they reach 30, as long as those first 2 or 3 bottles have been consumed at birthday celebrations. If your child waits until 40 years of age to try the wine and it turns out to be disappointing, then all the good intentions and careful cellaring will have been for nothing. Once again, as I have said before, special occasion wines are meant to be consumed, so make a point of planning a suitable event where you and those special people in your life can all enjoy the wine and the cherished company of loved ones. Good wine plus good company equals good memories, and those cannot be taken away from you, those memories will stay with you always, wherever you may be. Reg’s Wine Blog – Post # 19, May 24, 2016 – The “Parker Effect”, great for speculators, not so good for consumers! 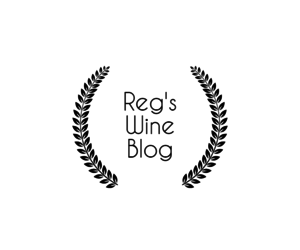 Reg’s Wine Blog – Post # 21, June 7, 2015 – Hugel Gewurztraminer 2013 rated best wine at a recent white wine tasting.